With John Tavares heading to Toronto, they went from a Stanley Cup contender to the favorite. John Tavares announced earlier today that he would be taking his talents to the Toronto Maple Leafs. He agreed to a seven-year contract at $11 million per year ($77 million overall). For Tavares, signing with the Leafs is a homecoming. This seemed to be the most reasonable place for him to sign other than possibly going back to Long Island. With the addition of Tavares, the Leafs have added an elite, veteran center with high-end scoring ability. He posted 37 goals and 47 assists for 84 points during his 2017/18 campaign. The Leafs will be without their 36 goal-scorer from last season (2017/18), James Van Riemsdyk. Without Van Riemsdyk in the lineup, the Leafs are missing a net-front presence, but with the addition of Tavares, they now have the deepest center core in the NHL. Toronto will also be without Tyler Bozak, Thomas Plekanec, and Leo Komarov when the 2018/19 season begins. Leo Komarov appeared in 74 games with the club, averaging 15:47 time on ice per game. He wasn’t able to effectively play his game throughout last season, only producing 19 total points. With these veterans not returning to Toronto it is likely that Josh Leivo and Frederik Gauthier will become NHL regulars. When appearing in games both have shown they are NHL ready. This lineup is going to make it difficult for any team to match up against. With arguably two of the top five centers in the league leading the way for the Leafs, it is going to be nearly impossible for any team to shut down their top lines. Nazem Kadri has proven to flourish when the media’s attention is focused elsewhere. Kadri will most likely be the third line center, which will allow him to excel and potentially put up more points than he would on the top two lines. Kadri posted 32 goals last season and if he matches up against third liners this year he may even produce more. Do not be surprised to see Mitchell Marner's point production jump tremendously playing alongside Tavares. The Leafs have made the playoffs their past two seasons since drafting Auston Matthews first overall in the 2016 NHL entry draft. With the addition of Tavares to their already lethal forward core, the Leafs now have 6-1 odds to win the Stanley Cup next season (2018/2019), making them the favorite. 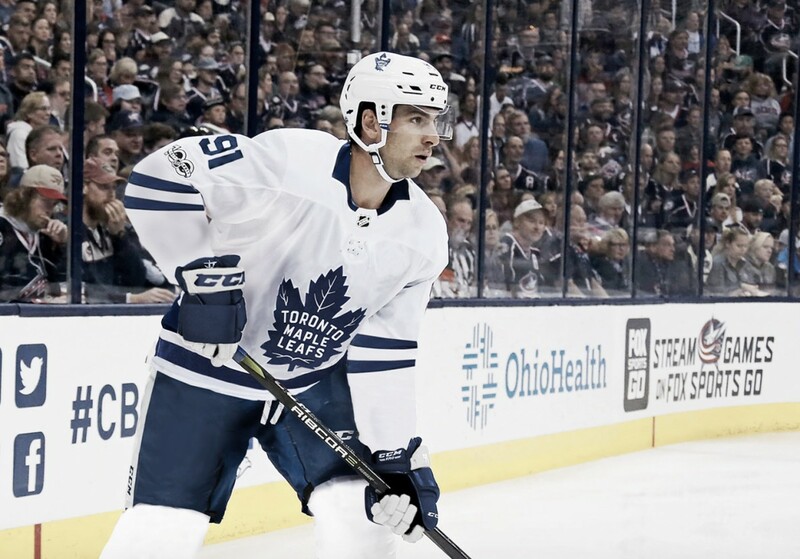 Do you think the Maple Leafs should be considered the Stanley Cup favorites after signing Tavares? Do they still need defensemen? Comment in the section below.